The Court of General Jurisdiction of the city of Yerevan in Shengavit Administrative District interrogated Nikol Pashinyan over the incident that took place between members of the Yelq (Way Out) Alliance and Artur Ayvazyan, who is known as Manakh and was sentenced to imprisonment under the case of the events of 27 October 1999, the Armenian media reported. 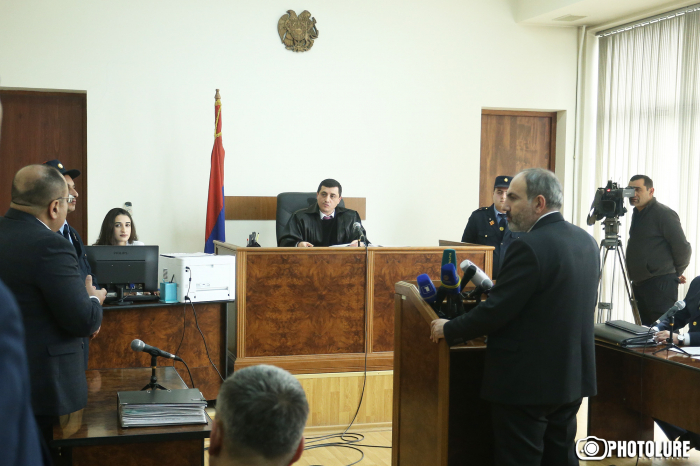 Pashinyan is a witness under this case. According to the indictment, Artur Ayvazyan is charged with crudely violating public order by overtly ignoring the public and exerting force against a supporter of the Way Out Alliance Hayk Sargsyan in the yard of building #53 located at Andranik Street at around 22:40 on 31 May 2017.